Due to illness, Sean Lock has had to cancel his show at Warwick Arts Centre tonight – Thu 8 Dec 2016. Our Box Office will endeavour to be in touch today, via telephone or email, with every customer to discuss options. We will be notifying every customer within the next two weeks with a rescheduled date. Alternatively, you are eligible for a refund. 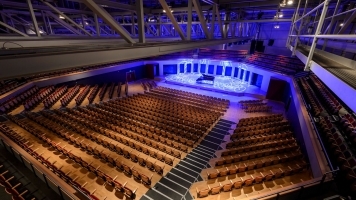 If you would like to ensure your contact details are up-to-date, please email ticketing@warwick.ac.uk. 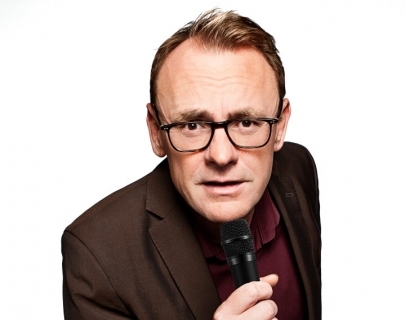 Sean Lock, Off the Kerb and Warwick Arts Centre apologise for any inconvenience caused. We look forward to welcoming him back to the Butterworth Hall in 2017. Every three years the comedian Sean Lock writes and tours a new stand-up show. Well he’s only gone and done it again! What’s he like? Come and see what he’s blithering on about this time.